Juve are without a number of first-team regulars and Allegri revealed there will be some changes to the starting XI. “It’s not complete rotation,” Allegri he said in the pre-game Press conference. “That’s because tomorrow is the most important game, we have to take three points tomorrow. We’ll think about Barcelona after tomorrow. “Among other things, Barcelona isn’t a final, it’s not a semi-final, nor a quarter-final, nor a Last 16 tie. “It can give you some advantage in the draw, because maybe you can get a second-place side which is somewhat weaker, but it’s also true that, as happened this year, there are those who are first among the weakest, and there are groups which are a lot easier going. “So we just have to focus on our goal of getting through, for which we need a few points. I think that nine points will be enough to go through. “Lichtsteiner? Stephan was left out but I’m very sorry because he’s an important player, he’ll be an important player for the league and then there’s the second Champions League list in January. 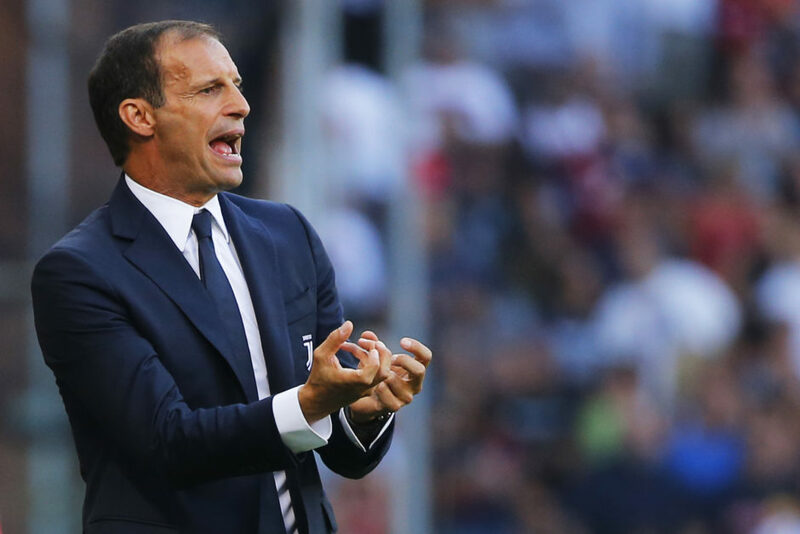 Allegri was asked about the recent changes to the summer transfer window which has been shortened in the Premier League starting from next summer. “I hope they do it here,” he said. “It wouldn’t just be good news for me, but for everyone. Then we’ll have to evaluate whether the other window gets moved back to November like in the past, if you move it forward because the summer window ends in July or the start of August. “Or you could leave it in January but have a much shorter window, otherwise you can get a player on February 1 and when, like this year, the season finishes on May 20 there’s no time for him to adjust and get to know his new teammates. “Did Juventus improve in this window? Theorising doesn’t matter, we’ll be able to tell if at the end of the season the team has done well. “When I talk about doing well it means getting to March being able to fight for every competition, like every year, though this year we’ll play for the Coppa Italia before because the quarter-finals are in December. “Are we short in midfield? Absolutely not, because there are always unexpected things throughout the year and you have to manage those. “If a player misses one or two games then it’s not a problem, because you can’t have eight midfielders for three positions, three right-backs, three left-backs just because we expect to lose some as we go. “The Juventus squad is strong, competitive in every position, and if one misses out another will play. “Rodrigo Bentancur? He could be compatible with Pjanic, he’s adapting well but we don’t want to put too much pressure on Bentancur because he’s just a young lad. 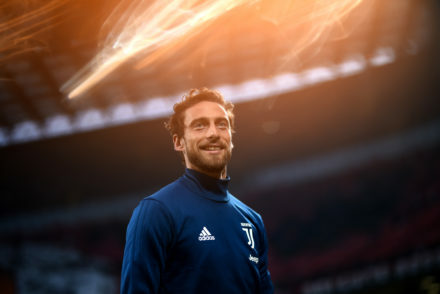 “He has great quality, but above all he has great personality so I’m happy with what he’s doing but he, like Bernardeschi needs time to carve out his place. “Bernardeschi has grown a lot since he came here and he’ll definitely be an important player for Juventus, but he needs to make his path just as all young players who have come to Juventus in the past. “There are players to choose from. Among other things, Khedira is out and Marchisio is still recovering, hopefully he’ll be back soon because he needs to reinforce that leg so we’ll see when he comes back. “Chiellini is out, we hope to have him against Barcelona. I think Cuadrado is back in because I didn’t see him yesterday, and Dybala worked separately yesterday. “The others are all available, they’re all fine. Those who stayed here worked well. Among others Higuain who wasn’t called-up did well from every point of view: from a physical point of view he needed to work and he’s much better, as well as from a mental point of view because he definitely wants to get back into the national team having missed out. “The others worked well, everyone has grown so we’re ready to get started again. The season begins here because the first two games were like a little taster of the season and now the real season starts, with a month in which we have seven games, five in the league and two in the Champions League. “Tomorrow Buffon will be rested and Szczesny will play. Barzagli is back today, we gave him two days rest and he’s rejoined the team. “So he’ll be available, and the others are all fine. As far as Howedes is concerned he’s fine, he’s adapting to new ways of working and I’m happy with what he’s doing, but I’ll have to look at him today. “Matuidi will play tomorrow, Matuidi and Pjanic will play and after that I need to evaluate whether to play those two or an extra midfielder, I’ll need to evaluate that after training today. “Matuidi is an international player, it’s not like I’m just discovering him. He’s played with all sorts of Coaches in the French national team and that’s the most important thing. “Chievo are a well-organised team who have been doing well in Serie A for several years. They’ve stayed in Serie A for a long time and they’re guided by a top Coach. “They’re always difficult to play, especially in the first part of the season. 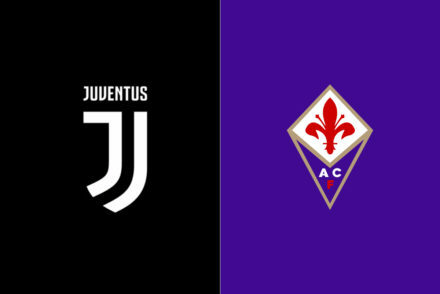 They’ve already won in Udine and they lost to Lazio in the last-minute having played a good game. “Tomorrow we have to get back underway with three points, and we need to play a focused match. “We need to work on the defensive phase because even in Genoa, never mind being a bit casual, we conceded two goals having started well against Cagliari.